We talk with pilot and journalist MayCay Beeler about her book Buccaneer: The Provocative Odyssey of Jack Reed, Adventurer, Drug Smuggler and Pilot Extraordinaire. As the personal biographer for the late Jack Reed, she brings us some insights into this unique man. 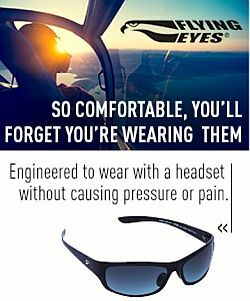 We also take a look at MayCay’s Diva Flight program, which puts women in the pilot’s seat at the controls to help them discover their inner strength. Find MayCay on Twitter, Facebook, or her home page. You can purchase the book directly from publisher Strategic Media Books, or from Amazon.com (be sure to leave a review! ), or from bookstores. 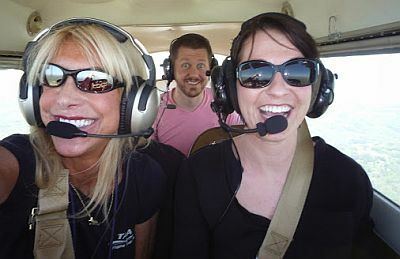 Photo above: MayCay (left) takes Tabitha (right) up in the TAA Flight Training Cessna 172 for her first flight, as Tabitha’s husband looks on from the rear. David Vanderhoof’s Aircraft of the Week: From Failure to Success, Part 4, The weird, the wacky, and the wonderful P-3 Orion variants. Badgerys Creek announced as site for 2nd Sydney airport and work is to begin immediately. You can get the history of Sydney’s 2nd airport at Wikipedia and a great time line from the ABC. They also chat about the hijacking that wasn’t – a Virgin Australia 737 squarks 7500 on approach to Bali but it turns out it was a disoriented passenger banging on the cockpit door thinking it was the toilet. Ooops. Rob Mark’s Aviation Minute: Rob talks about the College Training Institute (CTI) program to train new air traffic controllers. This week Pieter talks to Frenchez Pietersz from Aviation Platform about the KLM Air France Group. 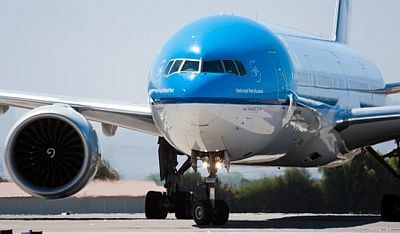 From investing in airlines in Brazil through to Code Sharing in Germany the KLM AF Group seems to be turning a corner. Find Aviation Platform Twitter, LinkedIn and Facebook. Find Pieter on Twitter as @Nascothornet, on Facebook at XTPMedia, and at the Aviation Xtended podcast. 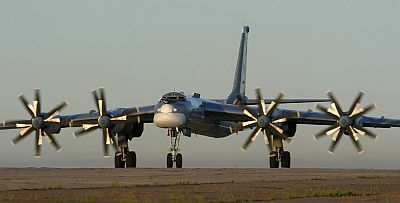 This entry was posted in Episodes and tagged aviation television, Book, Delta Air Lines, FAA, first flight, KLM, P-3, TU-95 on April 30, 2014 by maxflight.